Telltale is a busy place to be at the moment: not only is it working on the recently unveiled Puzzle Agent, it recently acquired the rights to produce episodic Jurassic Park games, not yet confirmed for WiiWare but a good probability considering the company's past. Now we've learnt that the studio is also producing episodic games on another Spielberg-related franchise, bringing Back to the Future back into the present with the first title expected to launch on WiiWare, among other platforms, this Winter. The games are going to exist within these worlds. I wouldn’t call these games sequels per se but a new interpretation of their worlds for a new medium. For one generation, it’s an introduction to these series. For another generation, it’s a thing they can look back on and something they can share warmly with their family and friends. Sounds like you'll probably have to use your hands... like a baby's toy. Expect plenty more Back to the Future dialogue quotes as the game takes shape. If my calculations are correct, when this baby hits eighty-eight miles per hour... you're gonna see some serious [poo-poo]! Why is everything so heavy in the future? Is there a problem with the Earth's gravitational pull? I find this announcement a bit underwhelming.... But I've never been a Back to the Future fan. Tales of Monkey Island games have been great fun, so I'll overlook my distaste for Back to the Future and hope for enjoyable games in their own right. ...Maybe they'll do The Goonies next! Now Telltale, don't con me! That's what I'm talking about Dad Dad Daddio! Love BTTF!!!! They'd better make it better than that abomination of a game from that certain company with a rainbow in their logo. Hey McFly!!! Hope this one is good! @Rare: Yes, I second the vote for a Goonies adventure game. As far as Marty McFly and Co., I'm tempering my excitement with a "heavy" dose of concern. It could be great, and I hope it is. But for some reason, I keep getting visions of the CD-i version of Zelda in my head. No clue. But for some reason, I keep getting visions of the CD-i version of Zelda in my head. No clue. "Oh boy! I can't wait to knock Biff in the manure!" I'll keep my eye on it because its Telltale, but not a huge fan of BTTF. @Chicken Brutus "I'm so hungry, I could eat a pie and use the dish as a flying disc!" This is good news too though. Now you're thinking fourth dimensionally! Where we are going we won't need roads. The bad memories from the old games can make like a tree and get outta here! Would it be considered weird if an episode of this were released the same day as that Retro City Rampage game I just barely learned about? As much as I love Back To The Future, and I truly do, I think I'll keep my excitement bottled up till I see some screens or at least some gameplay ideas. Shhhhhh. Of course. From a group of Libyan nationalists. They wanted me to build them a bomb, so I took their plutonium and in turn, gave them a shiny bomb-casing full of used pinball machine parts! Come on! Let's get you a radiation suit. We must prepare to reload. What was the meaning of that? It was right in front of him! cool! I love both franchises and I wonder how they will going to make them as games..I wonder if they are going to be point and click too or what? Cool news but im not wasting money on a game thats propally going to be crap. Why don't they make it a BTTF version of Tony Hawk 1... with your choice of Hoverboards/Skateboards/ol' broke apart scooters for each stage? If this isn't good then Telltale better make like a tree and get outta here. These movies have way too many good lines! Oh, and I'd just like to add; WII WITH BUILT IN TIME MACHINE ANNOUNCED AT E3 CONFIRMED!!! I saw it .....in a dream. It would be nice if it wasn't a point and click, but being as it's from them, that's probably unlikely. It just better be good Johnny. Sounds good to me. If these episodic games try to follow the films' narrative, it'll have too much to live up to and could even feel cheap and lazy. By setting these games in an 'alternate' world, and with Telltale Games behind the wheel, we could be in for a real treat. I wonder what genre these releases will be in. @Prosody: Marty's "What!?" that follows that line is perhaps the greatest reaction in any film. While Im afraid it might go wrong, this is Telltale and they give me faith. Espicsally after Sam and Max. ONE POINT TWENTY ONE GIGOWATTS!! the first back to the future on the nes was a really bad game (i think so). so this one might go wrong too?!?!?. I do my gaming after breakfast. Telltale, you disintegrated the BttF license! Is this gonna be a port, Telltale? Did you rip that off? Just tel me one thing, Where'd you learn to shoot like that? 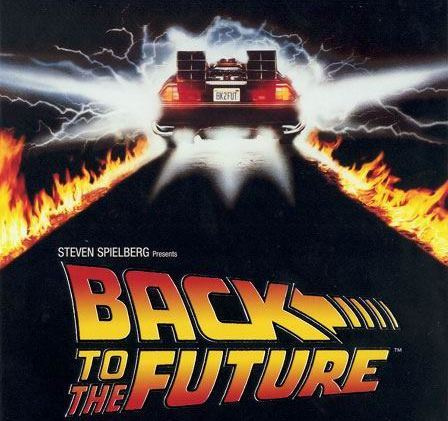 The BttF movies are amazing! I hope these WiiWare games turn out well. By the way, I'm afraid Microsoft's Natal is going to be a huge success, because those kids in 2015 were complaining about how you had to use your hands to play the arcade game in the Cafe '80s. I still don't know how we're going to have flying cars and hoverboards in 5 years (or how the Cubs will beat the Marlins in the World Series, since they both play in the same league). Ooh, first Telltale game to release across ALL of the platforms they develop for! That means I can dodge the "crappy WiiWare port" bullet and get it on PS3! 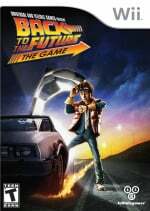 I liked the little-known Saturday morning cartoon series of Back to the Future, so I find it very unlikely that I wouldn't like a game set in that universe made by Telltale, AKA "a company who is highly trustworthy unless their product is on Wii and is not SBCG4AP." Will they give us this game free? "Hey, uh.. gimme a Pepsi Free." "Pepsi Free? You gotta pay for things around here, bub!" "What's with the clothes, you just jump ship?" @Miketh2005 - One of my favourite lines of the series is when Doc says "go around the corner and wait in the diner. Buy a Pepsi - here's a $50". Great stuff. I'm not too interested in Back to the Future, but Jurassic Park, on the other hand, is one of my all time favorite movies. I can't wait to see what Telltale can do with Jurassic Park! It's going to be weird some day watching back to the future 2 when it actually is 2015. I'll be like.... Where's the flying cars and Hoverboards? Then I'll probably swing by my local theater and check out Jaws 19. "Hey McFly, you bojo! This game won't work... Unless it's got POW-WAH!" lol. Couldn't resist shoe-horning a quote in. But seriously, this is epic news! I love TellTale, I love BTTF, so this seems very promising indeed! The people they have working at TellTale are very talented, (especially the writers), and if they keep the game in the same spirit as the movies, this'll be HUGE! @Link79 Don't get too close though or the big shark will EAT YOU. I LOVED the Monkey Island games.... so I am looking forward to these. Esp the Jurassic park one! Keep up the good work TellTale!